Paul Manafort was riding high, raking in tens of millions of dollars as the strategic adviser to pro-Russian politicians in Ukraine. What should have been his dream job ended up being his undoing, ultimately triggering the process that led to the 69-year-old's conviction in federal court on Tuesday on eight counts linked to making false tax declarations, bank fraud and failure to report foreign accounts. Fired by Trump after just three months as his campaign manager, Manafort's financial misdeeds were uncovered by Special Counsel Robert Mueller during his investigation into Russian interference in the 2016 presidential election. Paul John Manafort Jr was born on April 1, 1949 in New Britain, Connecticut. Politics ran in the family -- his father once served as mayor of his hometown. The "Stone" was Roger Stone, the Washington political insider who would eventually be among those recruiting Manafort to join Team Trump. After making a name in domestic politics, Manafort turned his talents to the lucrative practice of lobbying on behalf of questionable foreign leaders such as Philippines dictator Ferdinand Marcos, Somalia's Mohamed Siad Barre and Jonas Savimbi of Angola. Prosecutors alleged during Manafort's trial that more than $75 million of Ukrainian money poured into his offshore bank accounts, most of which were based in Cyprus and managed by a Cypriot attorney referred to in court as "Dr. K."
Besides landing him in jail, it was the Ukrainian connection which also led to Manafort's dismissal from the Trump campaign. He resigned as Trump's campaign chairman on August 19, 2016 after investigators for the new Ukraine government released files showing secret cash payments from Yanukovych to Manafort worth $12.7 million. "Paul is a true professional and I wish him the greatest success," Trump said at the time. 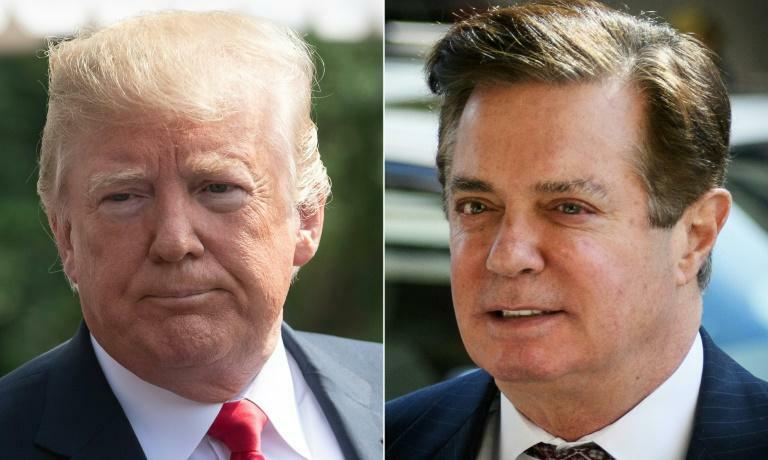 The US president has since downplayed Manafort's contribution to the campaign but has continued to come to his defense, describing him as a "very good person" and saying his trial was a "very sad day for our country." He expressed regret after the jury's verdict Tuesday, telling reporters: "It's a very sad thing that happened, this has nothing to do with Russian collusion." Legal experts believe Manafort, by going to trial and declining to enter into a plea agreement with the Special Counsel's office, may be hoping for a presidential pardon.